When most of us stop and think of coffee, we automatically think of a Colombian flavor profile. This country's coffees defined the advertising market of American coffee for a generation or more, and the reason is that Colombian coffees are a perfect balance of smooth but full body with just enough acid to back it up without overpowering it. 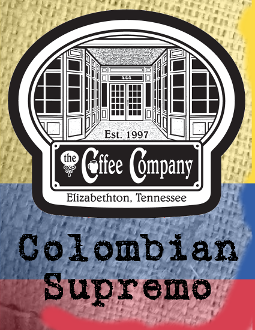 Our Colombian is a medium roast that will blow you away with its freshness, while still hitting all those familiar full smooth notes and lingering finish that you already know and love.